Save time planning English courses and lessons with the TEFL Handbook, an ESL lesson planner and pocket utility for English teachers (TEFL, TESL, TESOL, EFL, ESL). The TEFL Handbook opens English teachers up to a growing library of ESL course outlines, activities and games that can be accessed offline and brought into the classroom for quick reference. It currently supports five distinct levels within the CEFR, ranging from lower A1 to B1 (Beginner to intermediate). Save on paper and preparation time. Our activities and games require nothing more than the bare essentials of an ESL classroom (whiteboard, markers and some students). We want to give English teachers the confidence of feeling like they could pull any ESL lesson plan, activity or game out of their back pocket. Get Inspired - ESL Teachers will have access to over 300 offline activity and game ideas. And we’re only getting started! Fluid Navigation - A powerful and elegant user interface that provides smooth navigation through ESL materials, making it perfect for in-class use. Improved Interactions - Sample board work/lead- activities are included for each topic to support efficient lesson planning and an enhanced teacher-student interaction within the ESL classroom. Especially useful for new teachers who may not have considered how to teach a particular focus area. 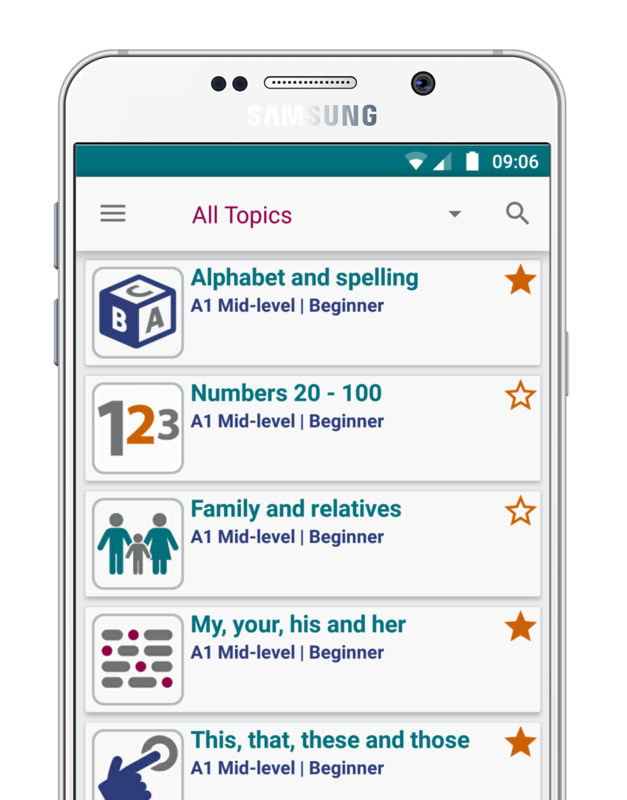 Powerful Search - The app’s two-tier search functionality gives teachers quick and easy access to materials as well as perspectives on course outlines. Classroom Fun - Over 100 ideas for English language games to adapt into ESL lesson plans, independent of resources. Support - Designed and maintained by a team of active ESL teachers.